An anti ageing facial that adapts to super boost the skin. Prescribed to protect against the harsh, ageing effects of shaving and environmental damage, this is the ultimate skin overhaul for male skin. Focusing primarily on the back, shoulders and neck area, this mini massage will help begin to relieve tension, stress and aching muscles. Can be combined with Elemis facials as a pre-facial relaxer! 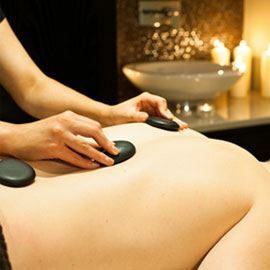 This therapy focuses on stone placement to offer a complete holistic approach and sensory journey. Warm stones are anointed with exotic, sensual aromas of the orient. This therapy focuses on stimulating the body’s own ability to release stress and restore peace. 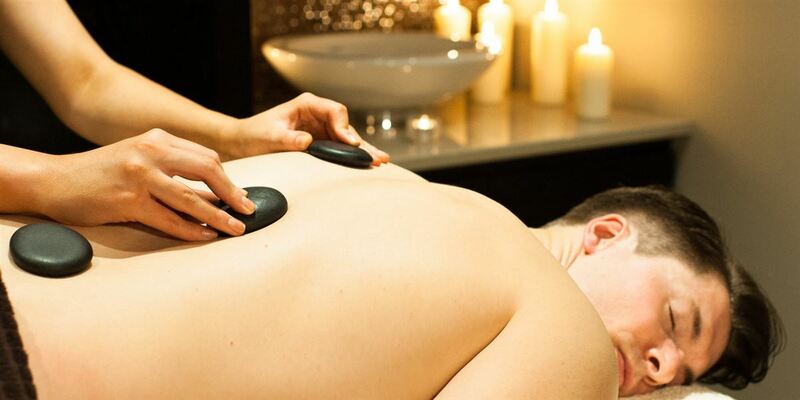 Hot basalt stones and warmed oil are used to massage away the stress and tension from deep within the muscles. A high performance complexion cleanse for total skin care defence. This super grooming facial decongests the skin, working overtime to eliminate blocked pores, neutralise impurities and reduce sensitivity. Achieve the ultimate goal for complete skin, body and lifestyle management. 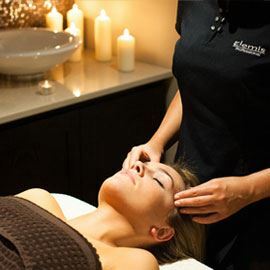 Select either the Elemis skin IQ or the urban cleanse power packed facial and combine it with the dynamic and immediate relief of the Elemis deep tissue muscle massage. Total time out!